Halloween is here but honestly…there’s nothing as scary as the cavities can be. As you’re getting into the spirit of Halloween with dressing up and trick-or-treating with your child, it is important to avoid sugar overload. Apart from overall health, this, of course, has an impact on your dental health as well. So here are some Halloween candy dental tips to make sure you don’t have to face the scary tooth decay. 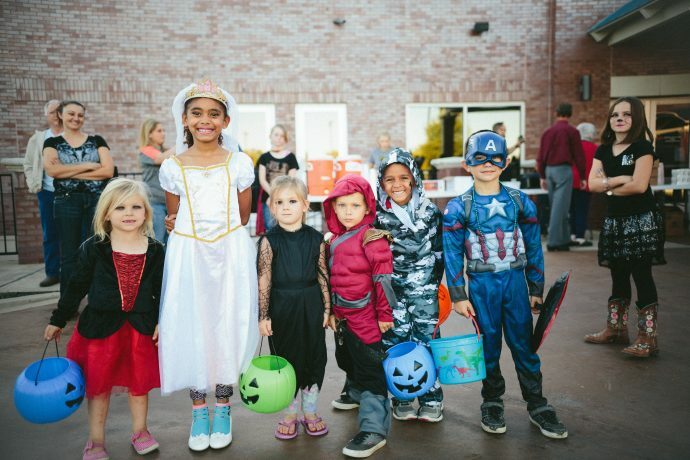 As you’re getting ready to leave the home with your child in order to trick-or-treat, try dropping a brand new toothbrush and dental floss into your child’s treat bucket. This way your child can get excited about brushing the teeth with the new brush afterward. Next step is making sure that the child is instructed on how to take care of the teeth properly by both flossing and brushing, since some stickier candy can easily get stuck in between the teeth. Don’t get tricked into treating the cavities later on. Make a plan with your child on how you’re going to parcel out the candy after the trick-or-treating is over. Whether it’s eating the candy in smaller portions or trading it for a healthier alternative. You might also choose to limit the number of houses you visit or give your child a smaller bucket or bag to carry around. Apart from making a plan, take this conversation as an opportunity to teach your child about moderation, nutrition and dental health. Give your child an opportunity to swap out the pieces of candy with some toys or activities that your child always wanted to do. You can start out small, such as offering your child to pick a piece of candy a day or give your child an opportunity to swap a piece of candy for a sticker or something that’s not a sugary treat.